CA-SEN: Dianne Feinstein is still maintaining a big lead in California. CA-GOV: Gavin Newsom is spending most of his time boosting other Democrats in the state. 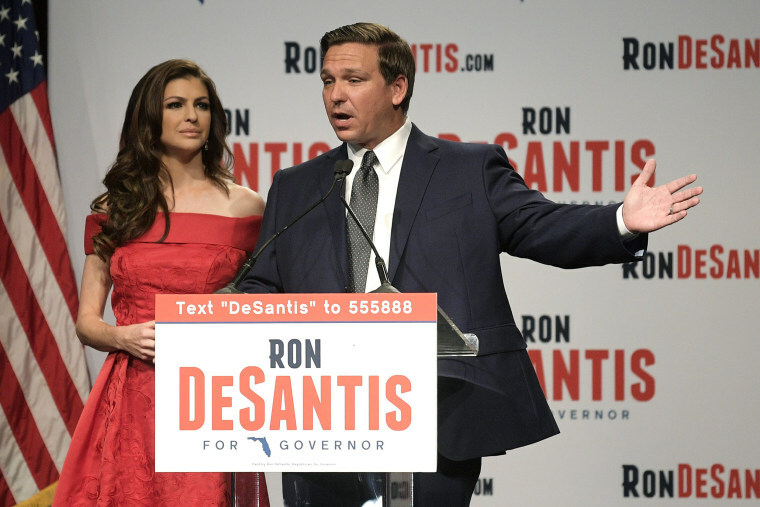 FL-GOV: Ron DeSantis has abruptly hired a new chairman for his campaign. MN-GOV: The cash-on-hand contest is essentially tied in the race for Minnesota governor. TX-SEN: Beto O’Rourke says he’s committed to serving out a six year term if elected. Ted Cruz did not say the same. TX-GOV: Greg Abbott’s ties to the Trump administration are becoming fodder for a big fight in the governors’ race. WV-SEN: The DSCC is pulling ads from West Virginia as Manchin appears to solidify his lead. Trump has two major crises going on at the same time. NBC’s Jonathan Allen looks at how he’s grappling with both. Here’s NBC’s big-picture look at everything you need to know about today’s hearing. The president said that “false” claims of sexual misconduct against him affect his view of the allegations against Kavanaugh. An unknown prosecutor with little comparable experience will be at center stage at today’s hearing, notes the Washington Post. Julie Swetnick is the first Kavanaugh accuser to speak on camera. Trump suggested that he may delay his meeting with Rod Rosenstein. Steve Bannon is trying to bring Trump politics to countries around Europe. The Washington Post has more details on that scandal surrounding Brock Long’s use of government vehicles and staff for personal use.